Luckily for you, we’ve provided a handy chart to go over some of the basic differences between a few of the more notable CCW insurance companies and their offerings to help you make an informed decision without spending half your Sunday Gunday staring at the computer. Of course, this chart only provides the essential information you’ll want to know when making a comparison, but you should definitely look into the details of the plans once you’ve narrowed your choices down to the final 2 or 3 to make sure you are signing up for exactly the type of coverage you want. 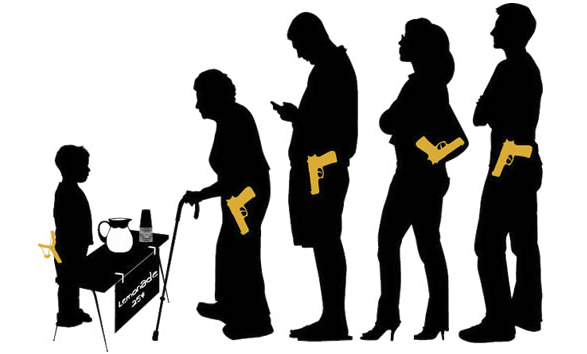 Everyone should have a CCW insurance policy! Instead, we’ve focused on the most common options that someone looking for CCW insurance would be interested in. And of course, there’s a little glossary at the end as well if any of the categories seem unclear. If you’ve read this far, congrats! Now onto the chart! We’ve left out information like whether there is 24/7 phone support or the additional amounts of coverage you’ll get by paying for higher tiers of coverage since every one of these companies offers those things. We’re eventually looking to Slickguns Review all of them…but for now these are the ones we actually “carry” ourselves. What’s your take on the big dog, USCCA? How much the plan costs! Surprise! Armed with this chart, you should hopefully have a better idea about which CCW insurance to get! If you’re still undecided or just want to read our own experiences with the plans our staff went with, check out our CCW insurance Slickguns Reviews for USCCA and CCW Safe! The post 5 Best Concealed Carry Insurance [Comparison Chart] appeared first on Pew Pew Tactical.